Unusual sign! 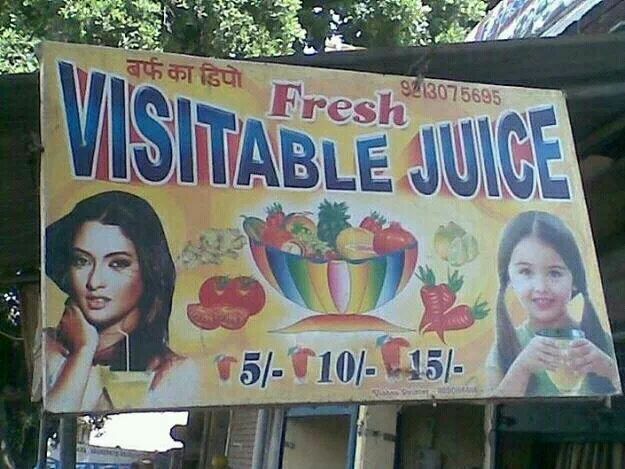 – Nothing like a glass of fresh visitable juice! This entry was posted in India, Life, Sign, Travel and tagged Asia, Expat, Humor, India, Lost in Translation, Sign, Travel by Kiwigypsy. Bookmark the permalink.